Gateway Hotel once again hosts a terrific line-up featuring some of the funniest and most-loved comedians in the country delivering 90-minutes of non-stop comedy action! Saturday Night Comedy takes place on April 7 and features the hilarious Joey Rasdien! One of South Africa’s most iconic entertainers, Rasdien is the headline act. The show will be hosted by one of Durban’s comedy stalwarts – comedian-guitarist Arnotte Payne. Special guest is the hilariously entertaining comedian-magician: Magic Man! The show also features two of Durban’s favourites: Mo Vawda and Jem Atkins, as well as Spencer Govender. 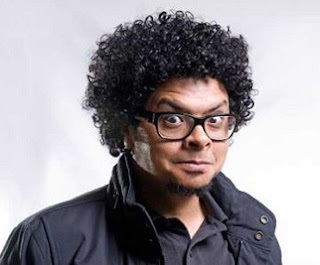 Joey Rasdien: Hysterically funny, deeply perceptive and a delight to watch, Rasdien is undoubtedly one of South Africa’s most prolific comedians. He has performed internationally (the prestigious comedy venue - Yuk Yuks - in Toronto), is a regular on both the big and small screen in SA, and is a firm favourite on comedy stages throughout the country. He is instantly recognisable thanks to his appearances in movies such as Running Riot, Bunny Chow, Outrageous, Blitz Patrollie, and Material (with Riaad Moosa). Magic Man: Andrew Eland (aka Magic Man) is one of the most experienced and well-travelled magicians in the country. His performance specialty is interactive, mind-shaking brilliant sleight of hand, spiced with pure comedy genius. He has performed at the Edinburgh Festival and across the globe, and has tremendous appeal across all age groups. Jem Atkins: Arguably one of the funniest entertainers we know, Atkins has been hosting and headlining shows all over Durban for several years now! He has performed all over the country with some of the biggest names in the industry - the guy is instantly likeable and very entertaining! Arnotte Payne: For the last 15 years, this actor, singer, guitarist and funny man has performed with many of SA’s top comedians (including Trevor Noah! ), and on some of the biggest stages in the country. He’s performed on radio and on TV, with his clean, versatile comedy style leaving audiences in stitches! His recent one-man show – 49 Shades of Black – was a sold-out success in Durban! Mo Vawda: He’s been on the Durban Comedy Scene for a couple of years now, and is already showing he has what it takes to build a name in comedy. With a confident stage presence and clean, well thought-out gags, he is instantly likeable and very funny! His beat-boxing skills, spot-on accents and hilarious stories have made him popular across all ages and demographics! Powered by On Fire Entertainment, Saturday Night Comedy takes place at Gateway Hotel on April 7 at 20h00. Tickets R120 booked through Computicket or R150 at the door on the night. Gateway Hotel is situated at Centenary Boulevard and Twilight Drive in Umhlanga Ridge.